Would you like to see the entire first episode of Masterpiece's Downton Abbey, Season 5 in a theater (and before all the spoilers start coming in?) Call your friends and make a date to join us for these special premiere events in Beckley (December 7), Charleston (December 9), and Morgantown (December 14)! These events are free, no RSVP necessary, and seating is on a first-come basis. You'll want to come early to sign up for door prizes and special Downton Abbey giveaways that will only be available that night. Feel like dressing for the occasion? Wear your 1920's best if you wish, and we'll help you snap a photo to share! December 7, 2 p.m. at The Raleigh Playhouse & Theatre in Beckley. December 9, 7 p.m. at The Clay Center Electric Sky Theater in Charleston. December 14, 5 p.m. at The WVU Creative Arts Center in Morgantown, courtesy of the College of Creative Arts, School of Theatre & Dance. The Crawley family now faces the year 1924--more changes to come, more secrets unfolding. What's up with Bates? What will Mary do? Who's the famous special guest this season? 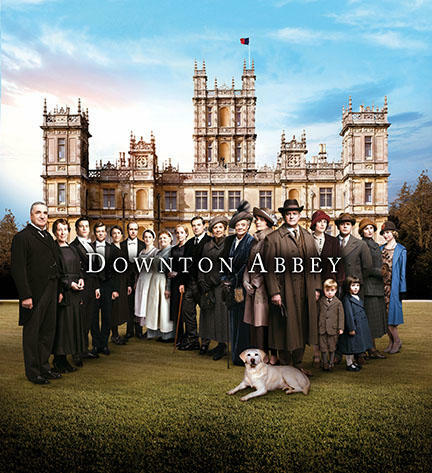 Join other West Virginia PBS Downton fans as the house lights go down to find out. Otherwise, you'll have to wait until the television premiere, January 4 at 9 p.m. on West Virginia PBS.